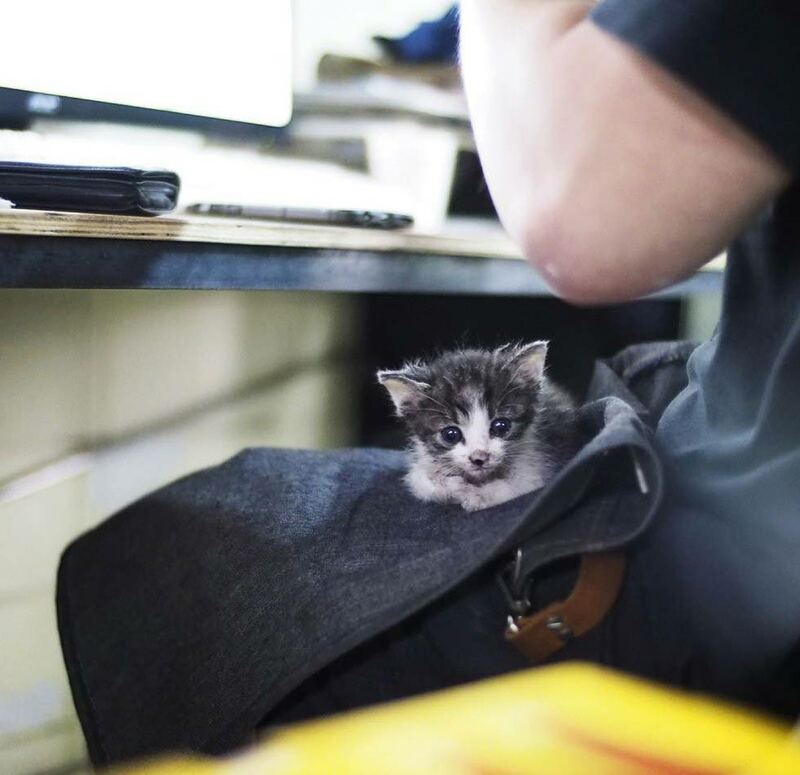 A couple were walking down a street when they came across a tiny kitten who was all alone. The little kitten hobbled up to them crying for help. They knew they couldn’t leave him there. The little darling had a injured foot so they took him home, and after many sleepless nights and several trips to the vet, he began to heal. 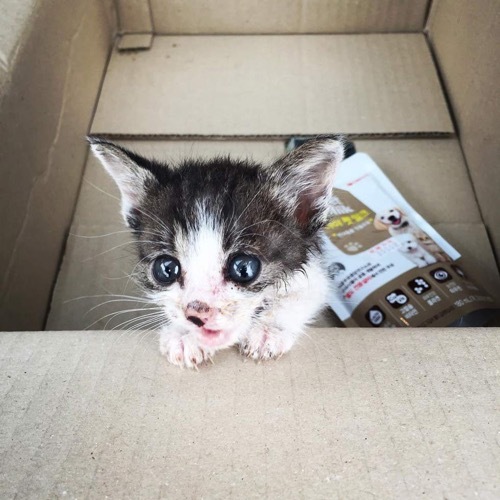 It was thought that the kitten had been left behind by his cat mother due to his injured foot and when they found him he’d been wandering on his own for awhile. It was a miracle that he had managed to survive as long as he did. They fed the thankful kitten around the clock with a syringe until he was strong enough and ready to use a bottle. 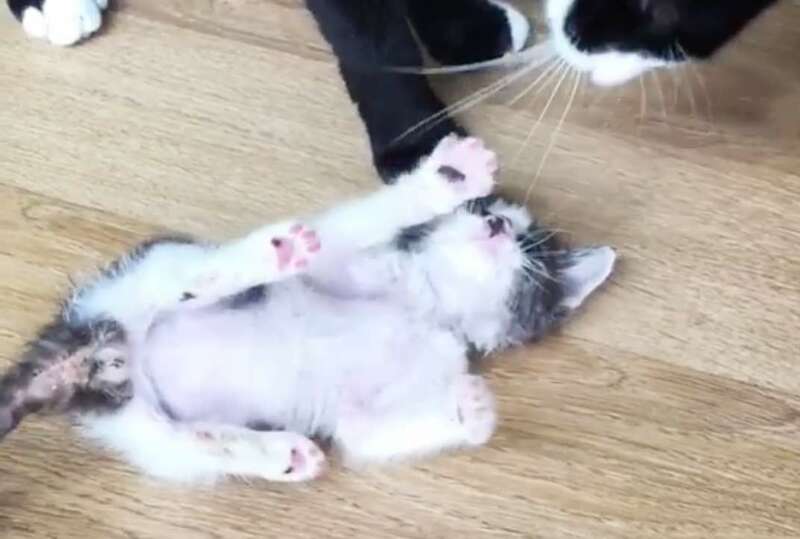 There was another rescued kitty in this family and she did her part in making him well again and gave the kitten a good wash after every meal. it would appear that the whole family was involved in nursing him back to health. The kitten was so happy to have someone to love at last and became very attached to his rescuers especially his human dad. He follows him around everywhere even though his leg was injured. Two weeks had gone by, the kitten’s foot was healing well and his playful side came out in full swing. 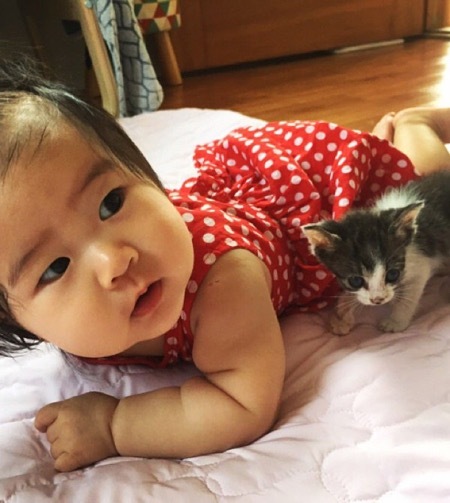 The little kitten even bonded with the smallest member of this family. Looks like best friends in the making. 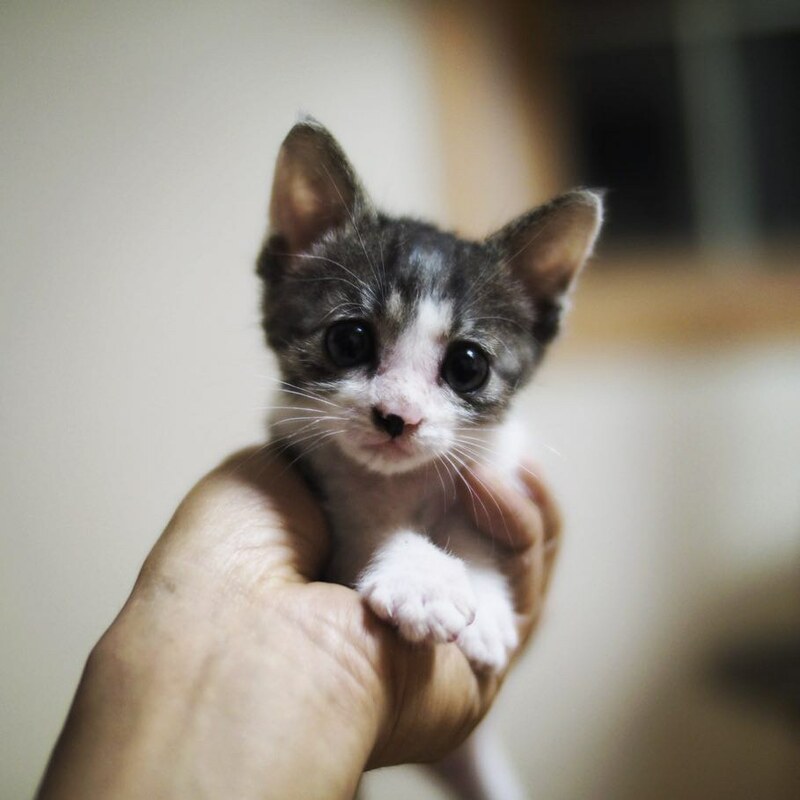 Almost a month after his rescue, this tiny kitten has made a full recovery and now lives in happiness in his forever home. Click here to see some cute kittens climb up a man’s back to get bottle fed!